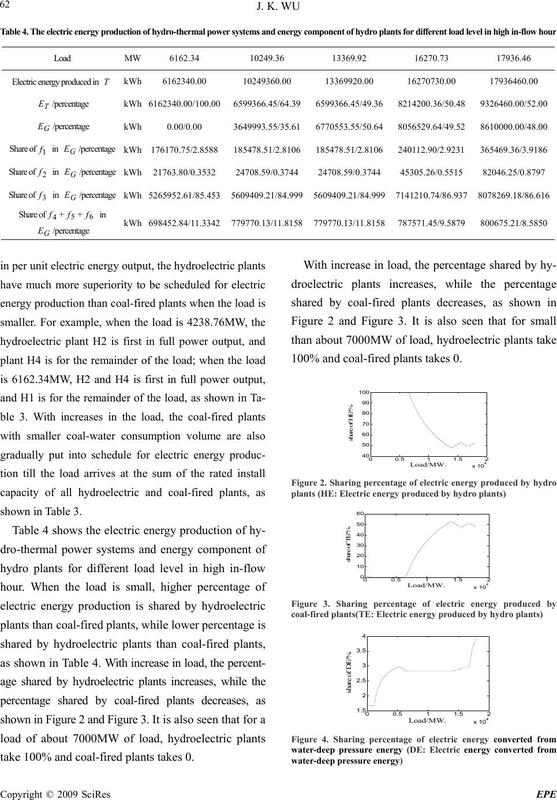 electric energy production of optimal scheduling in hydro-thermal power systems is presented in this paper. bility, applicability of the proposed method. plants in hydro-thermal power system dispatch. tions is far from ending. tion (PSO) is one of the modern heuristic algorithms. 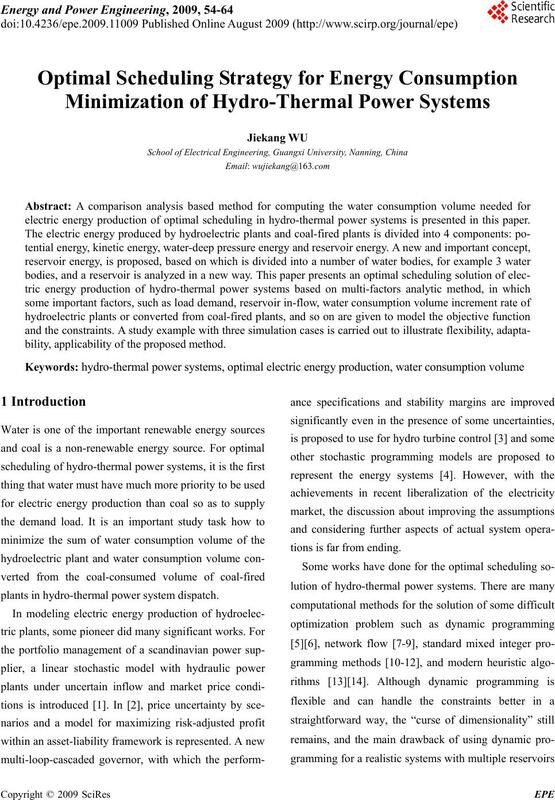 hydroelectric optimization scheduling problems [16-20]. 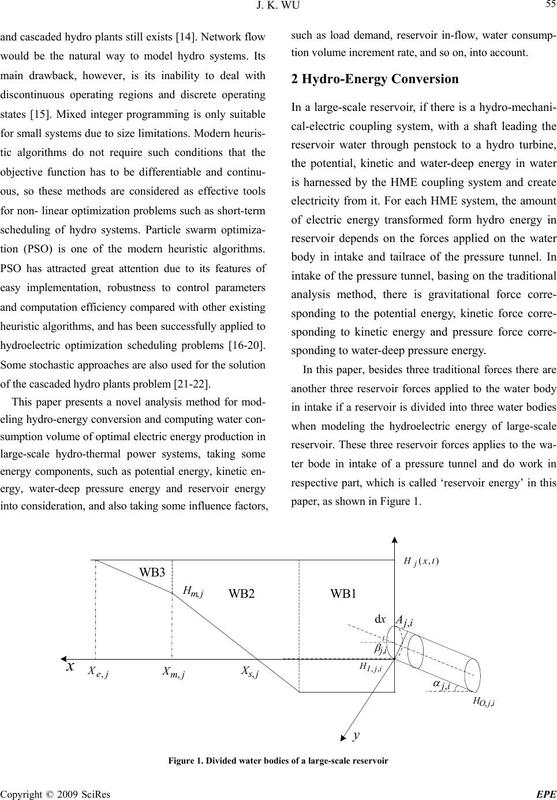 of the cascaded hydro plants problem [21-22]. 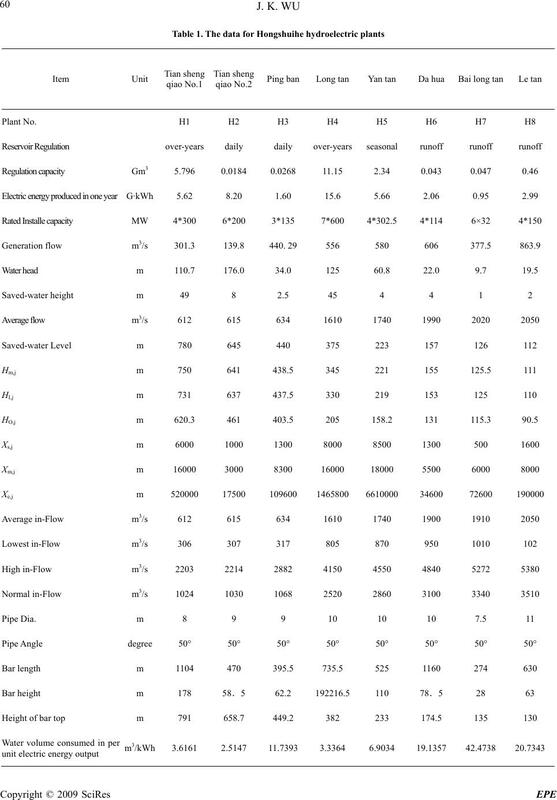 tion volume increment rate, and so on, into account. sponding to water-deep pressure energy. paper, as shown in Figure 1.
there is a part of energy transformed into electric energy. For a unit time( one second), . 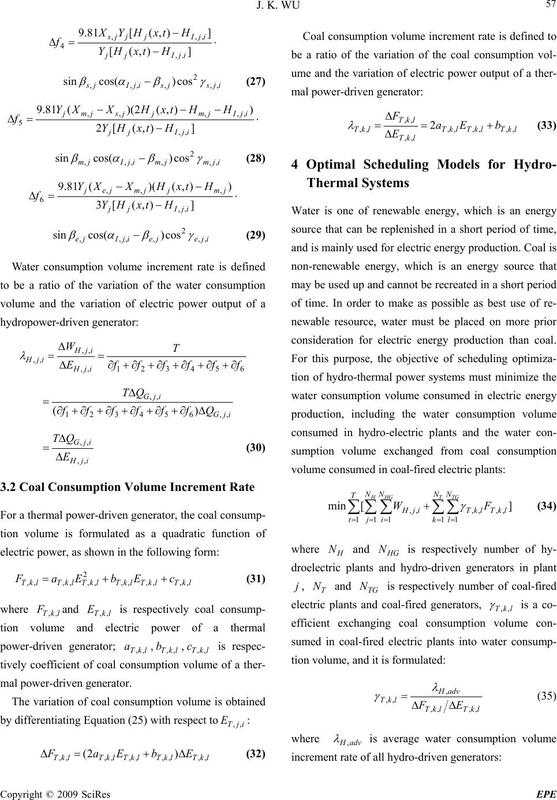 consideration for electric energy production than coal. 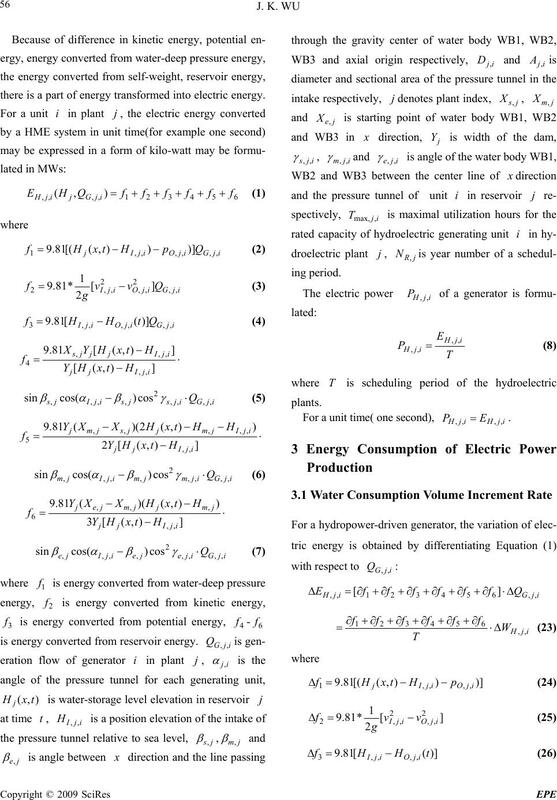 reactive power of hydro-driven generator in plant . reactive power of coal-fired generator l in plant k.
plant k in the scheduling period T.
riod, and flood period respectively. dro-driven generator iin plant j.
power systems in one hour. in per unit electric energy output. energy production in each cascaded reservoir is available. 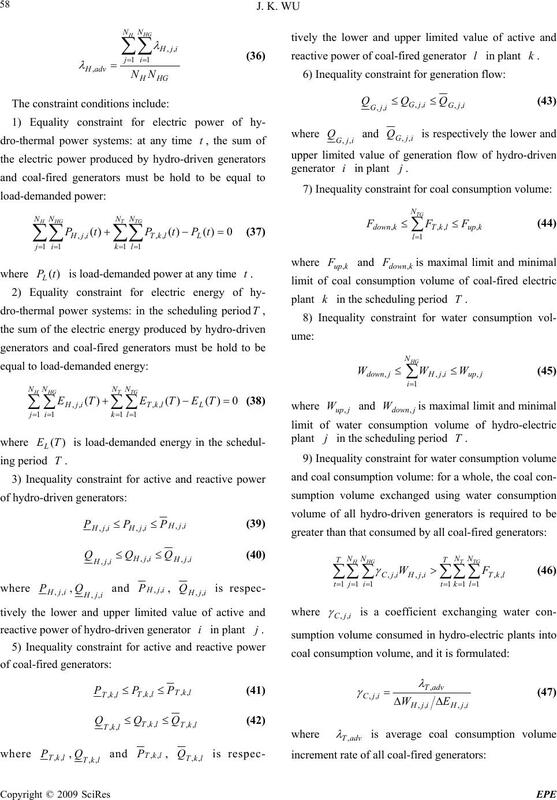 100% and coal-fired plants takes 0.
take 100% and coal-fired plants takes 0.
shown in Figure 8-Figure 10.
high for any load demand. Management Science, Vol. 10, pp. 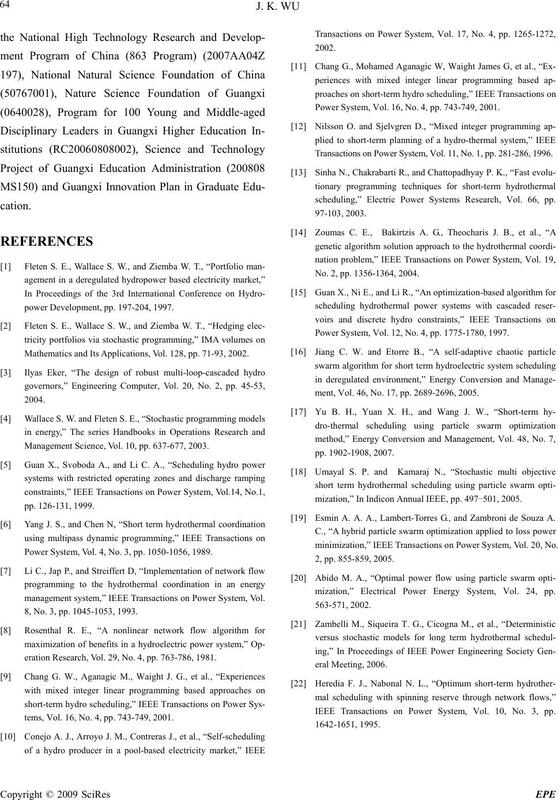 637-677, 2003.
rres G., and Zambroni de Souza A.
power Development, pp. 197-204, 1997. Mathematics and Its Applications, Vol. 128, pp. 71-93, 2002. Power System, Vol. 4, No. 3, pp. 1050-1056, 1989.
management system,” IEEE Transactions on Power System, Vol. 8, No. 3, pp. 1045-1053, 1993.
eration Research, Vol. 29, No. 4, pp. 763-786, 1981.
tems, Vol. 16, No. 4, pp. 743-749, 2001. Power System, Vol. 16, No. 4, pp. 743-749, 2001. Transactions on Power System, Vol. 11, No. 1, pp. 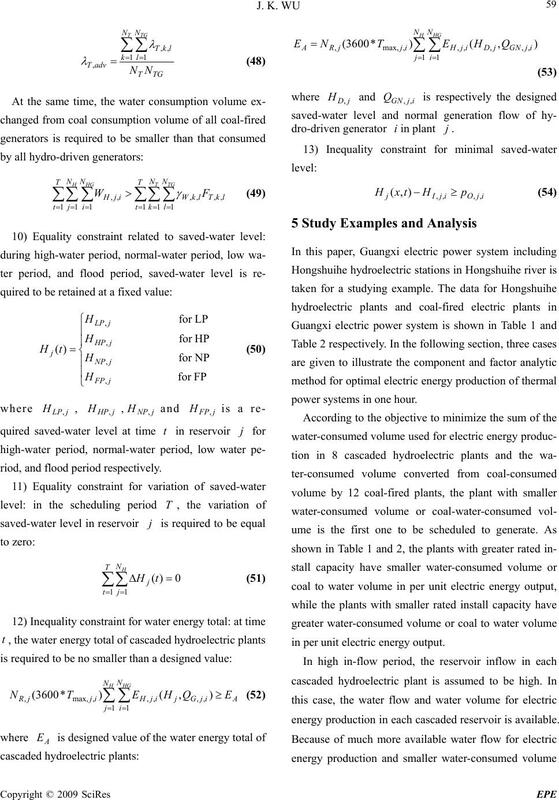 281-286, 1996.
scheduling,” Electric Power Systems Research, Vol. 66, pp. No. 2, pp. 1356-1364, 2004. Power System, Vol. 12, No. 4, pp. 1775-1780, 1997.
ment, Vol. 46, No. 17, pp. 2689-2696, 2005.
mization,” In Indicon Annual IEEE, pp. 497-501, 2005.
minimization,” IEEE Transactions on Power System, Vol. 20, No. 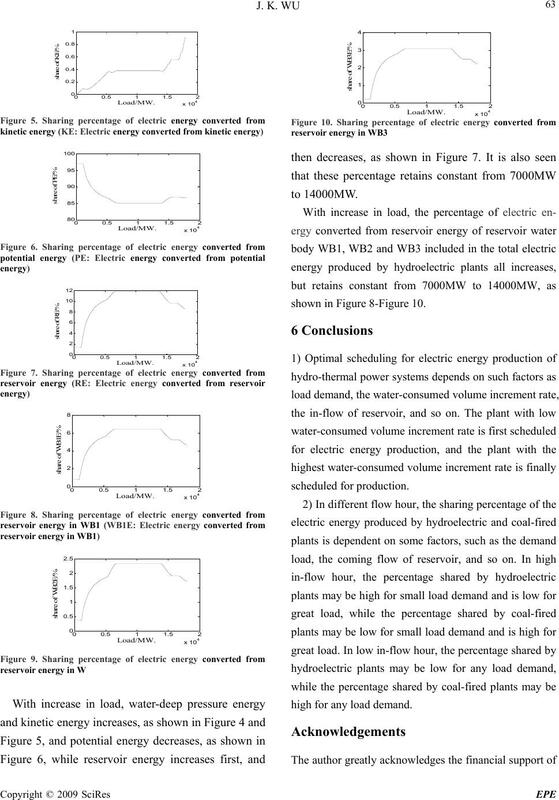 mization,” Electrical Power Energy System, Vol. 24, pp. 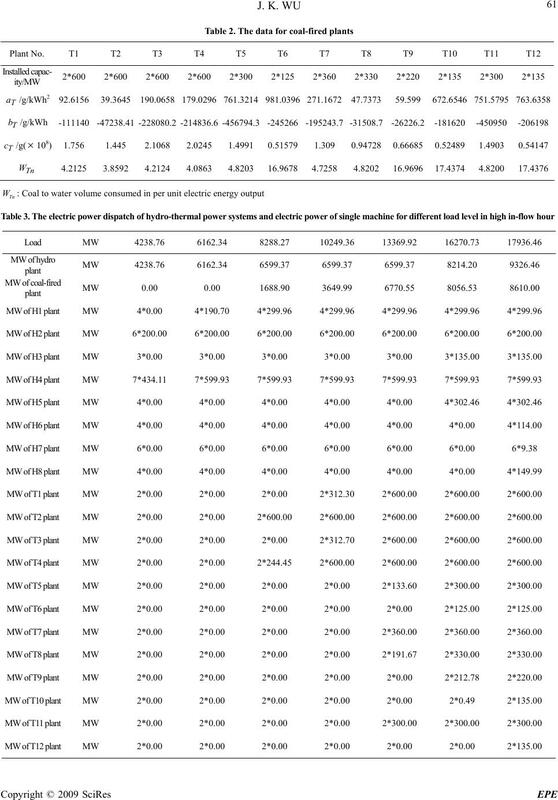 IEEE Transactions on Power System, Vol. 10, No. 3, pp.